Called to the Bar in 2003, Daniel has a wealth of experience in Employment Law and Civil Litigation. 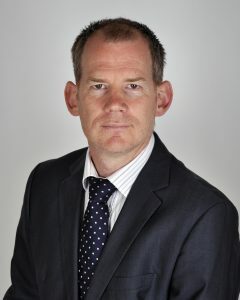 Having obtained dual qualification to practice as a Solicitor in Central London, Daniel has continued to have a strong following in advocacy and has developed a well-established reputation in Company and Commercial law. Bringing a rigorous yet practical approach to his legal work, Daniel is committed to achieving the best possible outcome for his clients. Having maintained strong links with a number of Barristers chambers he is able to ensure that clients benefit from the highest degree of expertise. With the addition of pre-qualification experience in industry, his advice always has a commercial focus seeking to provide clients with that competitive edge. When setting up Couchman Hanson Solicitors, Daniel wanted to build a business that focused on its clients and their best interests. He genuinely cares about his clients and is committed to providing the best possible service. He has a level of empathy that his clients value greatly and always works hard to ensure the best possible outcome. Outside of work Daniel enjoys spending time with his family and following the orders of his nine year old daughter. He also keeps his eye on & supports his local football team, Aldershot Town FC.